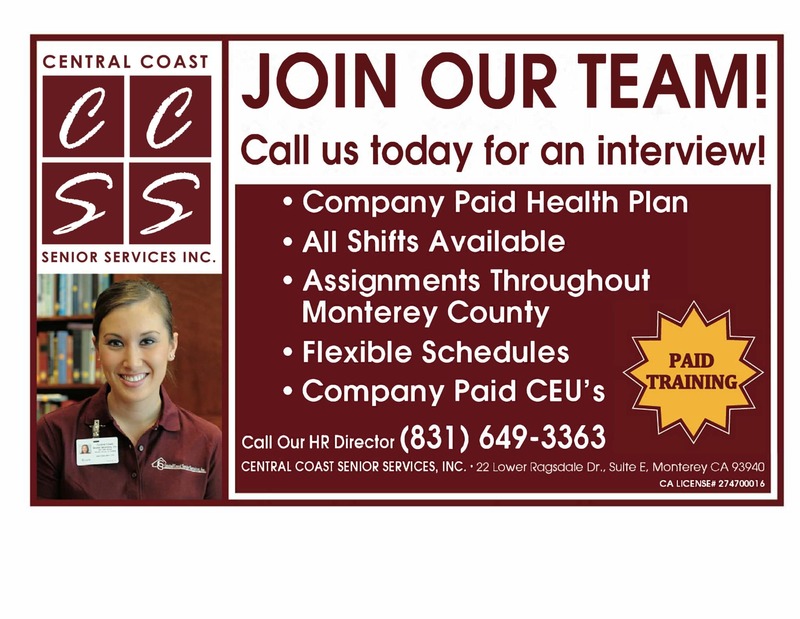 Our Admin Team | Central Coast Senior Services, Inc.
Our Staffing Coordinators make sure the right Personal Attendant reaches the right client, at the right time — every time. They keep track of the needs of our clients, the strengths of our PAs, and the schedules of both in order to make the best match for each situation. In addition, they work to provide that elusive but critical matching of personalities that creates opportunity for great customer service. We provide staffing 24 hours per day, 7 days per week, and we pride ourselves on our punctuality and efficiency. After normal business hours, our Staffing Coordinators continue to assure that urgent needs are met. We’re ready to take your call and greet you in the office! Whether it’s a curious potential client or an emergency situation, our reception team can quickly connect you with the right staff member. After hours you will be greeted by a live person ready to help you no matter the time of day.